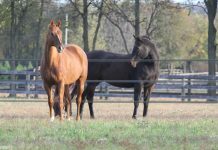 A barn to accommodate broodmares and foals obviously has different requirements from a barn to house several family riding horses. The style, determined by rafter and roofline preferences, is also an aesthetic choice and should complement your house and existing outbuildings. Wood and steel are both fine building materials for coastal areas that may experience tornadic winds and hurricanes. Steel is strong and can span longer distances between supports than wood but often requires specialized construction, which increases cost. Wood frame structures are designed to bend slightly in windy conditions and can be reinforced with “hurricane clips” to withstand higher wind loads. Cold and mountainous regions require higher roof load tolerances as well as special consideration given to the slope of the roof to maximize snow slippage and melt runoff. Most quality barn manufacturers design barns to withstand all but the most catastrophic weather conditions, and a few have “recovery teams” to support their product when a disaster occurs. 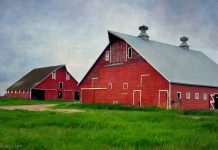 You can choose from five major types of barns: gable, offset gable, shedrow, monitor (or “raised center aisle”) and gambrel. The websites of larger barn manufacturers allow you to compare styles and determine which best fits your needs. Most buildings can be modified to some extent to add custom features or increase the size later, if required. The most important barn decisions to make early in the planning process are how many stalls you need, what size they should be, how wide the aisle needs to be if you’ll be driving equipment in the barn, and what areas should be set aside for a tack room, storage or a wash rack. You cannot budget appropriately if you don’t have a basic floor plan. Great article! 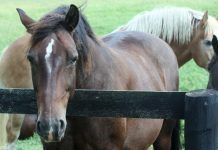 I read another article on planning for a horse barn that was great to!